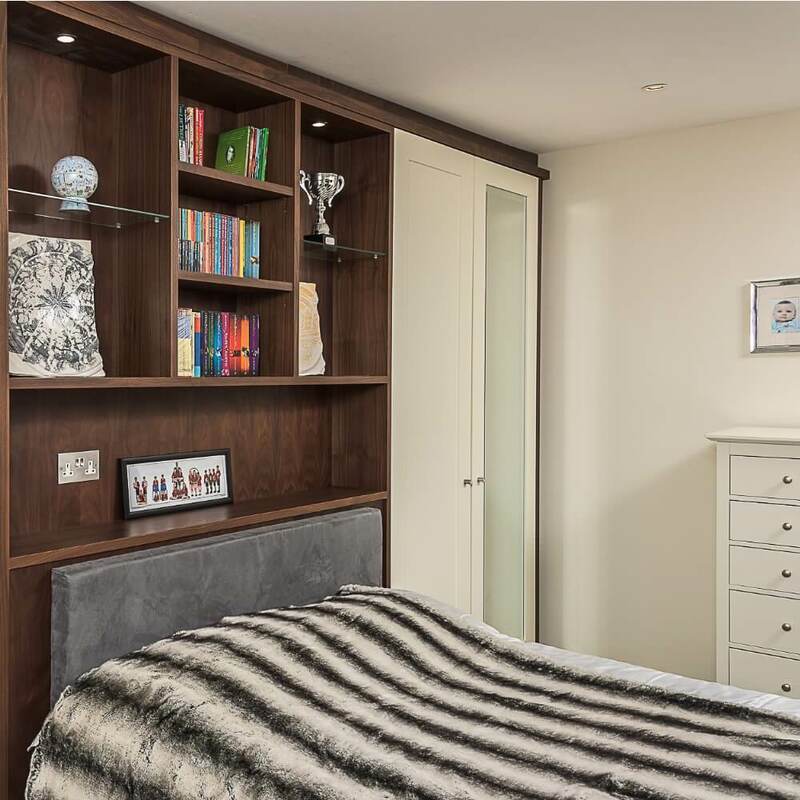 This bedroom unit features display shelves, a headboard and fitted Shaker style fitted wardrobes. 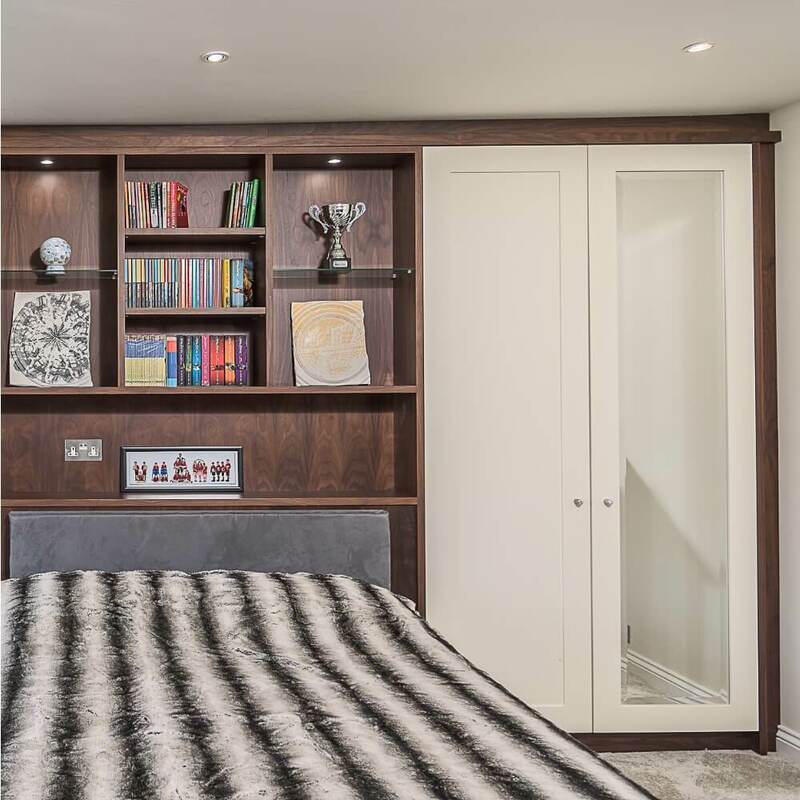 It features a combination of materials including black Walnut Veneer, solid Walnut wood and faux suede for the headboard. The wardrobe doors are painted white to create contrast. Other features include a bevelled mirror and Swarovski Crystal polished chrome door knobs.